MILAN – IN 1992, a magistrate in Milan nabbed the manager of an old people’s home, who was a bit slow in flushing down the lavatory a wad of cash he had just taken as a bribe: a small episode, but with momentous consequences. In the string of scandals that followed, known as Tang entopoli ("Bribesville"), over 2,500 people were investigated, about 450 were found guilty (including a clutch of former prime ministers), a few were put in prison and a score took their own lives. Between 1992 and today, so the conventional wisdom has it, a sea-change in Italy saw a new breed of politicians, managers, bankers and entrepreneurs take over. Really? "The Economist", with the help of "Who’s Who in Italy" and a research organisation, the Enrico Mattei Foundation, decided to see if so grand a claim stands up. Is Italy now in younger and cleaner hands? How much of the old establishment has been replaced over the past five years? The answers to these and other questions suggest there has been a distinct change-but by no means the revolution often assumed. We looked at Italy’s 100 most powerful people, including (among others) the heads of the 11 top banks, of the ten biggest private companies, of the ten biggest state-owned firms, the eight most senior civil servants, 14 top government ministers and party leaders, the mayors of the seven biggest cities, the editors of the nine biggest journals, the heads of the six main television channels, and so on. Turnover of such jobs has certainly speeded up. In each of the two five-year periods before 1992, some 54% of top jobs changed hands. But in the past five years the turnover rate has gone up-but not spectacularly-to 71%. The figure is a good deal higher still in national politics, in local government (partly due to the post-1993 system of direct election for mayors), and in state-owned companies-all areas hugely affected by Tangentopoli. How much of this was caused by corruption investigations is hard to say. Still, of all those who held top jobs in 1992, no less than 17% have been prosecuted. And 57% of those who held top jobs in politics and 40% of the top businessmen have had brushes with the law. But one strange discovery is that Italy’s top echelon is scarcely any younger, despite the current government’s claim that the country has undergone as deep a generational change as the United States did after Bill Clinton’s first election. The average age of today’s establishment man (there are still few women) is, at just over 59 years, barely six months younger than five years ago. For sure, quite a few 40-somethings, like the deputy prime minister, Walter Veltroni, and Chicco Testa, head of ENEL , the state’s electricity monopoly, have landed big jobs. But Italy, like Japan, is still a country where grey hair (or no hair) carries weight. This is most true in the church, banks and universities, though the media, local government and the trade unions have become a bit more youthful. Also unchanged since 1992 is the proportion of high-fliers who have studied or worked abroad: still just under half. And women in top jobs have become even rarer. The tiny offering of female big cheeses has slumped from three in 1992-two mayors and the speaker of parliament’s lower chamber-to just two today: Emma Marcegaglia, the head of the young industrialists’ association, and Lucia Annunziata, a television news chief. One revelation, though, is striking. 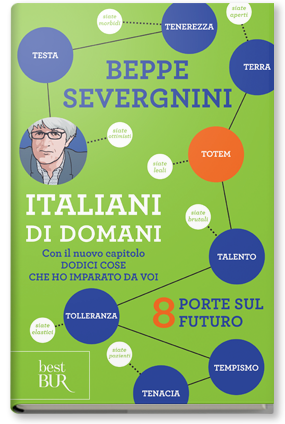 Five years ago, northerners-in the rough-and-ready definition of "Padania" used by the separatist leader, Umberto Bossi-held half of the top 1 00 jobs. Now they hold 60, people from the centre (including Rome) have 17, while southerners have just 23. Northerners have edged ahead in just about every area, except for the printed press, television, and the civil service, which still spawns heavyweights from the south. Judges, once mostly southern-born, now come mainly from the north. It is harder to say whether there has been an ideological shift among Italy’s power-punchers. For some jobs, you do not need known political views. But the right has, if anything, edged ahead. A rough calculation suggests that in 1992 some 45 of the top 100 were middle-of-the-roaders, 30 were on the left, eight were on the right, and some 17 said they were independent. Five years on, the right’s tally is up to 15, perhaps thanks to the brief reign as prime minister of a right-wing tycoon-turned-politician, Silvio Berlusconi. Self-proclaimed independents have gone up to 23, while the left’s representation has stayed put at top level, while increasing lower down. Oddly, the man who, as a magistrate, started the campaign to clean up the country, Antonio Di Pietro, does not feature among the top 100. Yet he might not be averse to taking the post of president, especially if-as a parliamentary commission recently suggested-it were directly elected. That would mean Mr Clean Hands ending up as Mr Italy.